You have to be one gutsy guy to bring a bow and arrow to a fight against super powered foes. Loki is a Norse god with god-like powers and Ultron is a laser-shooting robot who doesn’t seem like the merciful type. You’re just going to shoot an arrow at them? Sounds like a bad idea… but then again, Hawkeye, from the Avengers, has the kind of skill that can keep pace with even the most deadly of supervillains. Now your child can pretend that he’s just like iconic Marvel superhero when he takes this Hawkeye bow and arrow accessory into battle. 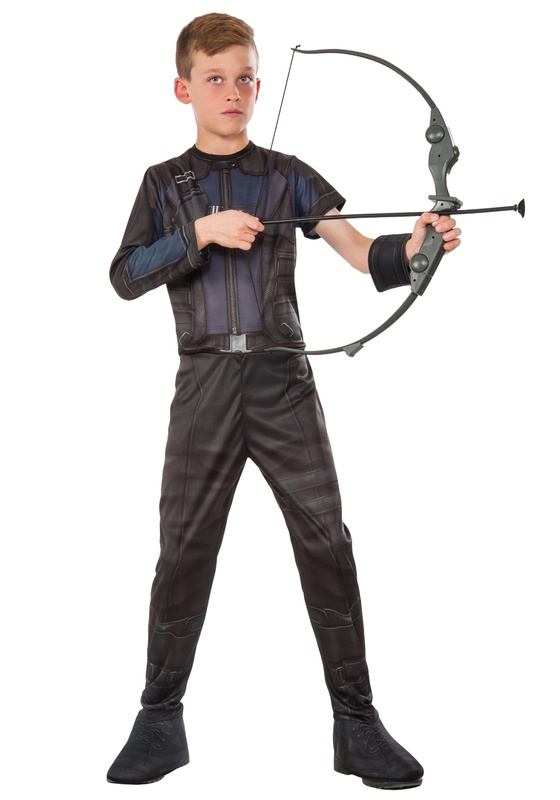 It’s designed to look like the weapon used by Clint Barton in the Marvel movies, so your child will have a striking appearance when he pairs this up with one of our Hawkeye costumes for kids. It might take a little practice before he can bullseye a flying evil robot with one shot, but everyone’s got to start from somewhere!